They use 就 in their own sentence, but using 就 in my answer was counted wrong. I don't understand. I also face the same. No wonder, we deal with mechine right. Something must be wrong with coding i think. The English sentence was "If you cannot come, you must tell us." My sentence was 如果你不能来就一定要告诉我们. It said the correct sentence is 如果你不能来一定要告诉我们. 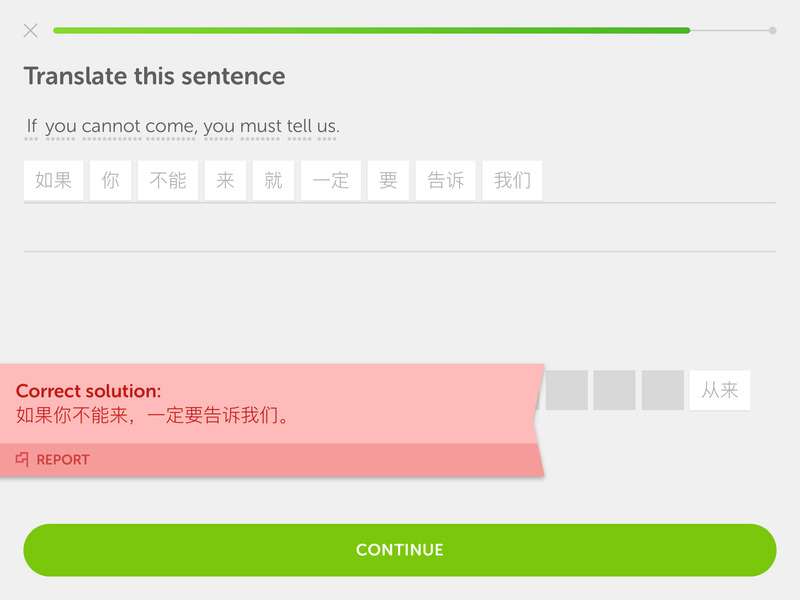 Yet on the very next exercise my sentence 如果你不能来就一定要告诉我们 is given and it asks for the English translation. Thanks! 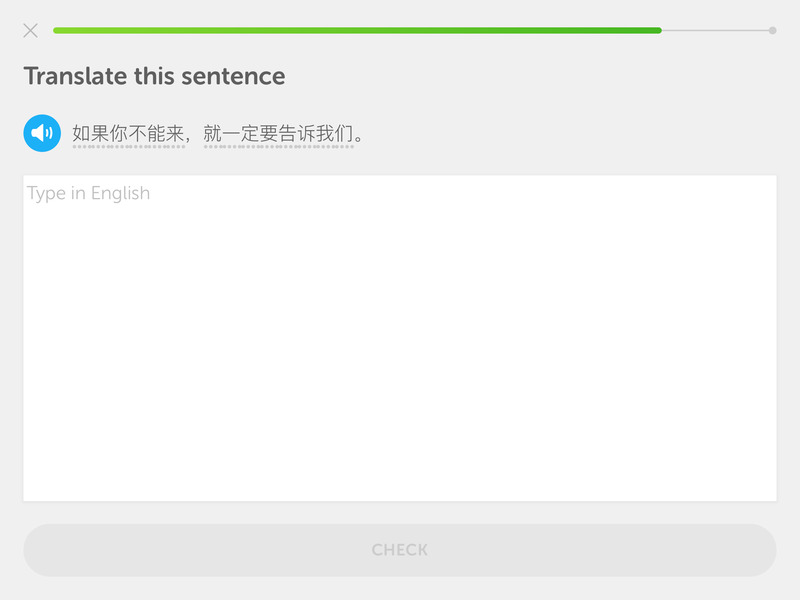 No, can't complain here because I love Duolingo and I'm happy to be able to learn Chinese for free! The 就 added is like "If you cannot come, then you must tell us." There are other words that translate to "then" but 就 serves that feeling. On Duo, sometimes when you put the words in a different order that sounds correct, it doesn't apply to them. The audio in 矮 often sounds incorrect.